The first large-scale example of submarine warfare took place in the First World War, with German U-boats sinking a number of Allied ships, and by the time the Second World War started in 1939, submarine warfare had become commonplace. 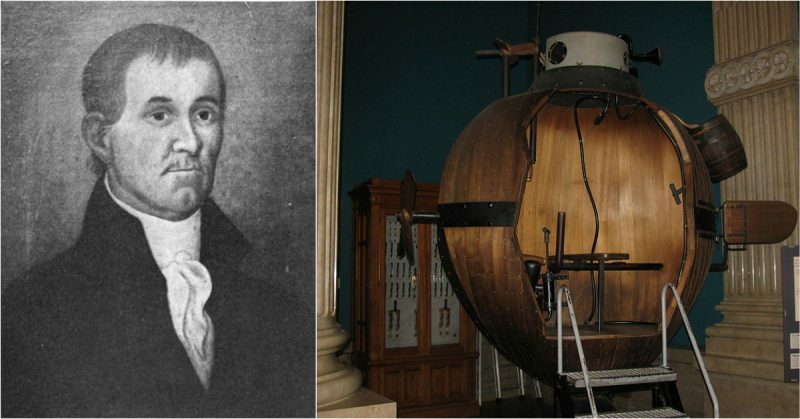 While submarines were invented long before the First World War, and were used for warfare as early as the American Civil War, you may be surprised to know that the first known use of a submersible craft in war dates all the way back to 1776, during the American Revolutionary War. The watercraft in question was a tiny, one-man submersible craft called Turtle, and it was used to attack the British ship HMS Eagle, which was one of a number of Royal Navy ships that were blockading the Hudson River. 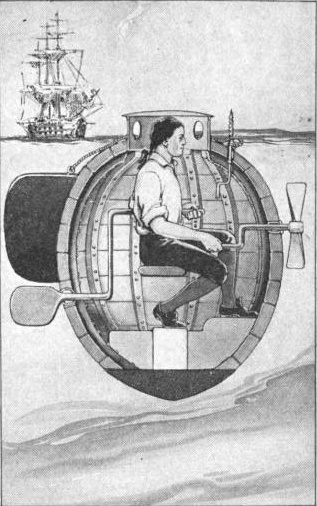 Turtle, as this strange submersible watercraft was christened, was the brainchild of an American inventor named David Bushnell. Bushnell, born in Saybrook, Connecticut, was originally a farmer, but after selling his shares in the family farm in his early 30s, he entered Yale College and studied mathematics. He graduated from Yale in 1775 – after having proved, during his studies, that gunpowder could be detonated underwater – and when the Revolutionary War broke out in April 1775, Bushnell decided to use what he had learned over the course of his studies to develop a method of attacking British ships from below the waves. 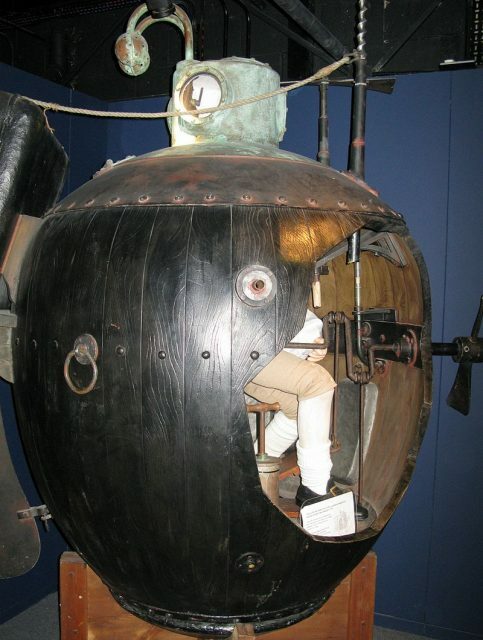 Thus, the idea for Turtle – the first ever submersible watercraft to be used in warfare – was born. This particular submersible, though, looked and worked nothing like the submarines of the 20th century. Made of oak with iron wrappings and brass fittings, and similar in shape to an acorn, Turtle was so named because it looked like two turtle shells stuck together. It was only big enough for a single person to fit inside, and was propelled through the water by means of a treadle-driven propeller and hand-operated crank, which required considerable effort to use, meaning that whoever was piloting the craft had to be very physically fit. 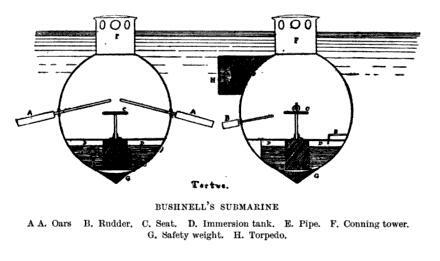 While the idea for Turtle was Bushnell’s, he did have some assistance in its design, especially for the complex moving parts of the machinery used to propel the craft through the water, to dive and surface (done by brass pumps that pulled in or expelled seawater as ballast), and to steer the vessel. These items were made, and possibly designed, by local clockmaker, brass manufacturer, silversmith and inventor Isaac Doolittle. Bushnell’s brother Ezra also assisted with some aspects of Turtle’s design, and volunteered to be its pilot. Visibility came via porthole windows near the top of the craft, and in the hatch on top, via which the pilot would enter and exit the craft. This hatch was also the only way that air could get into Turtle. Because of its limited air capacity, traveling underwater would only be done when absolutely necessary – for most of the craft’s journey, it was intended that it travel through the water with the hatch just protruding from the surface. 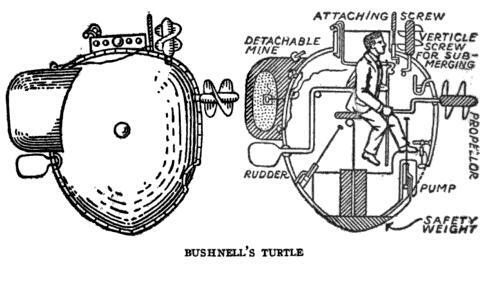 Bushnell intended Turtle to be used at night to maximize the aspect of stealth, which would be crucial in successfully pulling off the attack against the British ship. This, obviously, presented a serious obstacle in terms of navigation. 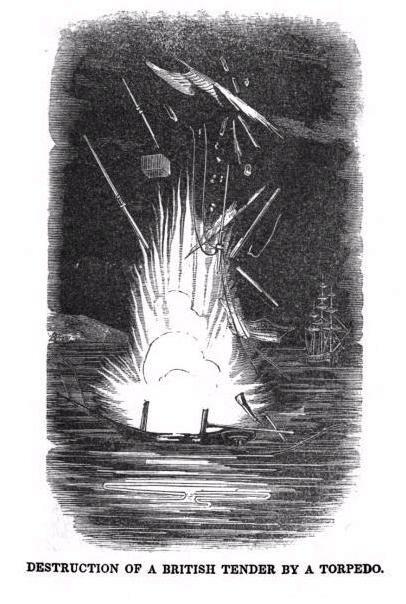 To overcome the problem of being able to navigate through dark waters at night, bioluminescent foxfire was attached the needles of Turtle’s compass and other instruments, so that they could be read in the dark. In terms of weaponry, Turtle was pretty limited in that department. 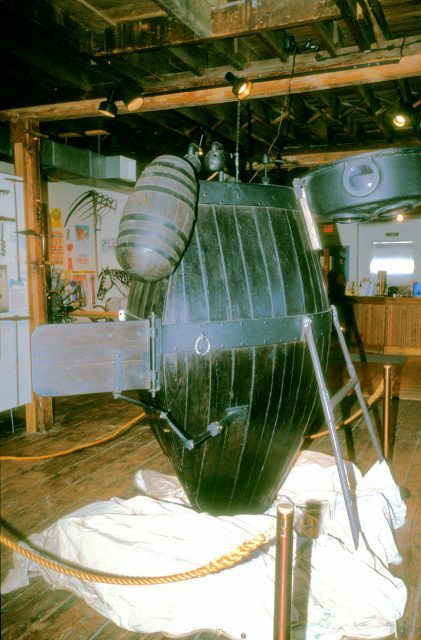 The idea behind Turtle was not that it would directly attack an enemy vessel, but rather that it could be used to get close enough to an enemy ship, undetected, in order to attach to the hull an explosive mine, containing around 150 pounds of black powder, which would then be detonated with a timer fuse. Hopefully, the mine would blow a large enough hole in the hull to sink the enemy ship. Bushnell tested Turtle in the Connecticut River with his brother Ezra as the pilot. Things seemed to go well, so the craft was transported to Long Island Sound in preparation for active use. Ezra, however, fell ill, and thus a new pilot would have to be found and trained, which set the project back. Three suitable men were found, and, after having moved Turtle to the Hudson River for training, the craft was then towed to New York Harbor to attack the British fleet. Turtle’s first mission got underway at 11:00 PM on September 6, 1776. Piloted by Sergeant Ezra Lee, Turtle was targeting HMS Eagle, the Royal Navy’s flagship in New York Harbor, which was moored off Governor’s Island. Unfortunately for Lee, the currents were a lot stronger than he had anticipated and the darkness made it difficult to navigate. By the time he reached HMS Eagle, he had been in the water for a number of hours and was likely suffering from both extreme fatigue and carbon dioxide inhalation. He made a few attempts to affix the mine to Eagle’s hull, but failed to do so. Seeing as dawn was approaching and he was exhausted, he chose to abort the mission. He nonetheless released the mine – with its timer fuse lit – in the hopes that the British would pick it up and that it would explode on one of their ships. The mine did explode, but didn’t take out any enemy craft or troops. Disappointed, Bushnell and his team had Turtle taken to the Hudson River, where another attack was attempted and also failed. 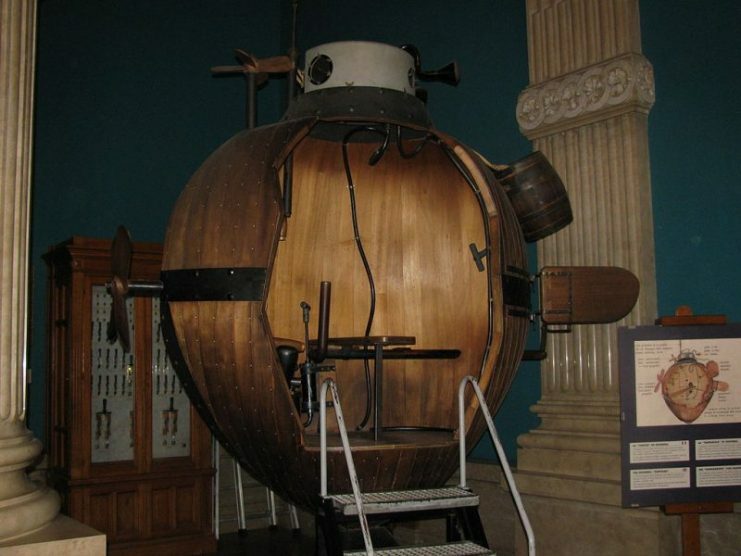 Turtle ended up being destroyed when British artillery sank the tender that was transporting it, and thus the first ever submersible watercraft used in war was lost forever – somewhat fittingly – beneath the waves. Model submarine Bushnell (in section). Maritime Museum. Monaco. Bushnell, disappointed in Turtle’s lack of battlefield success, abandoned work on another submersible craft. He did, however, continue to work on floating mines, which he had some success with. 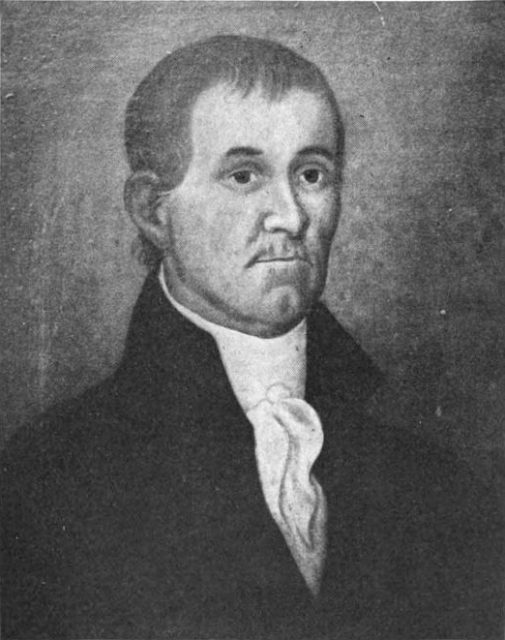 He ended up attaining the rank of captain in the Continental Army’s Corps of Engineers, and after the war he moved to Georgia and worked as a doctor and a professor. 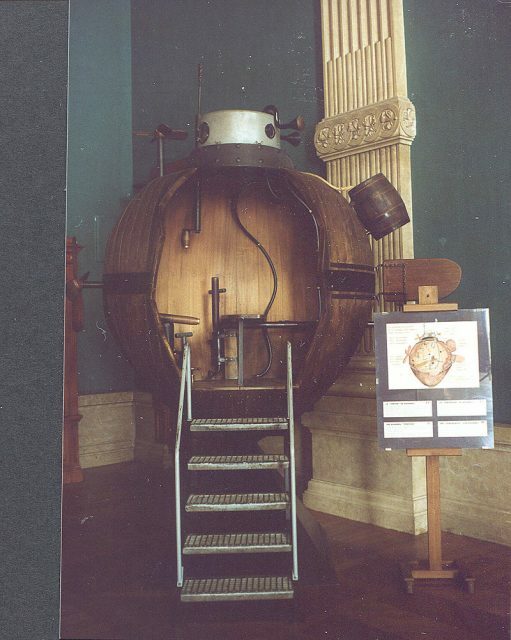 As for Turtle, a fully functional replica was constructed from Bushnell’s designs in the 1970s, and is currently on display at the Connecticut River Foundation.